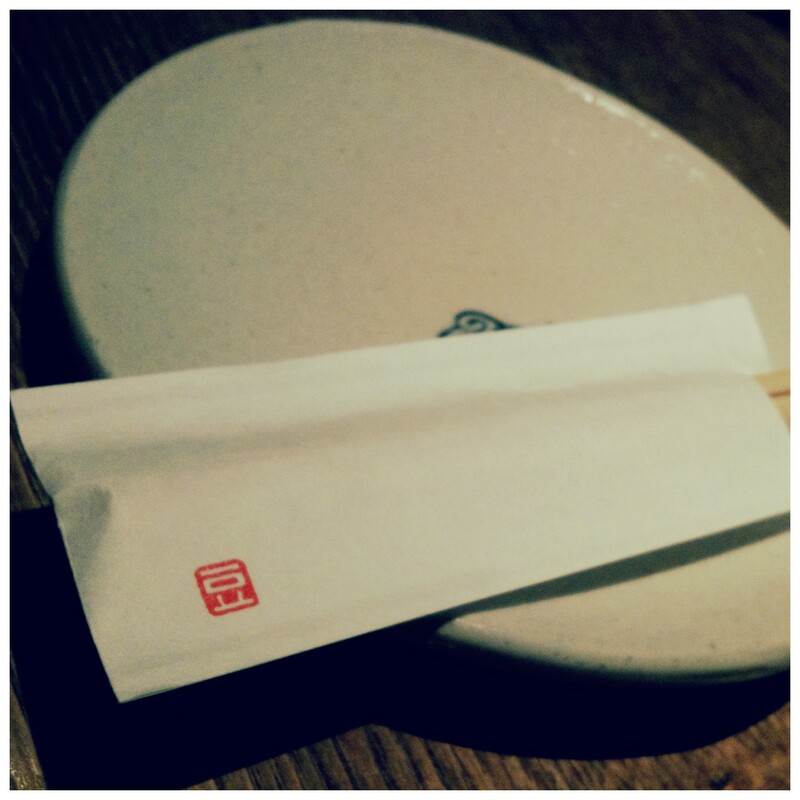 Tofu Restaurant – Where is Naoko? In Shibuya. Love the red stamp on this chopsticks cover that just says “bean”. The restaurant is called 空ノ庭 (sky garden).